Not sure what to get your favourite film fanatic for Christmas? We’ve picked out a few things we’d be very happy to see under the Wildcard tree this Christmas. If you’ll allow us a bit of self-promotion first, we do have to mention the fantastic selection of DVDs that Wildcard has on offer in its online store this Christmas. Our big release this festive season is The Guarantee, a bold cinematic realisation of the seismic events of September 2008, as the bankers and the government battled over the future of the country. Also on offer is the poignant family drama Run and Jump, Hill Street, a nostalgic snapshot of Dublin’s early skating scene , the thrillingly tense documentary The Summit, the charming animated fable Moon Man, and much more. All our DVDs are available in HMV, Golden Discs, Tower Records, Tesco, Supervalu, Xtravision, the IFI shop, on Amazon, and of course in our online store. “I believe the common denominator of the universe is not harmony, but chaos, hostility, and murder” – not just a description of your average Christmas dinner with the folks, but also a classic quote from legendary director Werner Herzog. 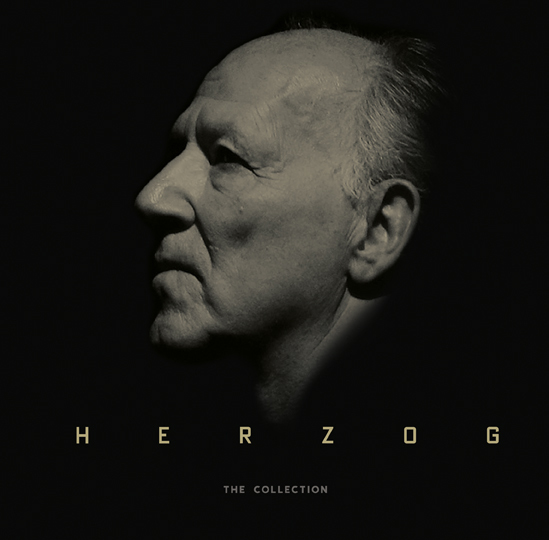 The famously cheery German has made a career of out chronicling the darkest of human obsessions, and with 16 of his best films and a host of extras, this spectacular box set is the perfect gift for the budding nihilist in your life. Top tip: give The Wizard of Oz a miss and settle down with your nearest and dearest to watch Aguirre, the Wrath of God on Christmas Day. That’ll shut them up. A cinema membership is the gift that keeps on giving, and many of the country’s cinemas offer a host of benefits for a reasonable fee. For just €25 you can get become a member of the IFI, which provides discounts on tickets, access to free screenings, and the added reassurance that comes from knowing you’re just that bit more clued in than your average cinemagoer. The mother of all gifts for the movie fan in your life is the Cineworld Unlimited card. For an annual (or monthly) subscription fee you’ll be able to watch as many films as you want at any Cineworld cinema. Any film, any time, as often as you want. Which means you longer have to feel guilty about that fifth viewing of The Lego Movie. The Jameson Dublin International Film Festival has gone from strength to strength in recent years, and each year brings more big name movies, actors, and film-makers to the capital for two weeks of screenings, workshops, and gala events. The festival is currently offering a JDIFF Season Pass for the early bird price of €200, which will get you in too every film at the festival. Or as many as you can manage. Mark Harris’s previous book, Pictures at a Revolution, which examined the five films competing for Best Picture in 1967, was a genuinely original and insightful take on the uncertain beginnings of the New Hollywood. It ranks among the best non-fiction works of the last decade. His latest opus aims to shed new light on an underexplored era of Hollywood history, as it follows the path of five giants of American moviemaking (John Ford, William Wyler, John Huston, Frank Capra, and George Stevens) as they abandon the easy pleasures of tinseltown and go to war in 1939. Zeroing in on the malaise at the heart of the hippie dream with his usual verbal invention and madcap humour, this screwball noir is perhaps Thomas Pynchon’s most accessible and downright entertaining novel. Still, it takes a brave filmmaker to attempt to translate Pynchon’s densely allusive, pun-laden prose to the big screen. Step forward then Paul Thomas Anderson, whose eagerly awaited, Joaquin Phoenix-starring adaptation arrives in Irish cinemas this January. Read the book first and you’ll not only be able to demontrate your literary credentials, but you might even have a chance of following the deliriously convoluted plot. Popcorn: salt-laden movie food of the gods or cardboard-tasting noise pollutant? It’s a divisive subject for cinemagoers, but for those of us who love the crunchy kernels and crave a new taste sensation, Joe & Seph’s gourmet popcorn is a prayer answered. Coming in a bewildering range of flavours, from Salted Caramel to Irish Cheddar to Gin & Tonic and Chili and Black Pepper, it’ll turn a night in on the sofa into a fine-dining experience. For added Christmas cheer, they’ve got a special seasonal range that includes Mince Pie, Brandy Butter, and Mint Chocolate.